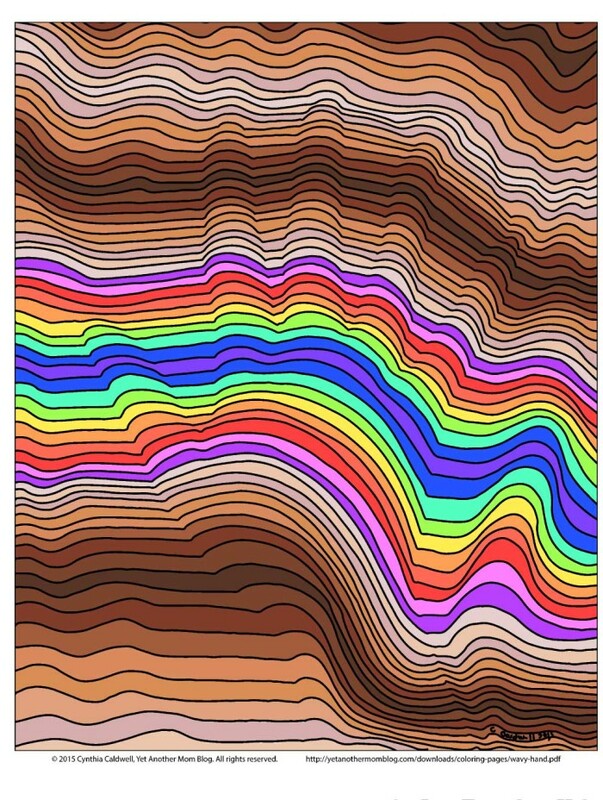 Cool 3D Line Art - Free coloring page PDF download or create your own! ← Stickers Here, Stickers There, Stickers Everywhere… Not Anymore! 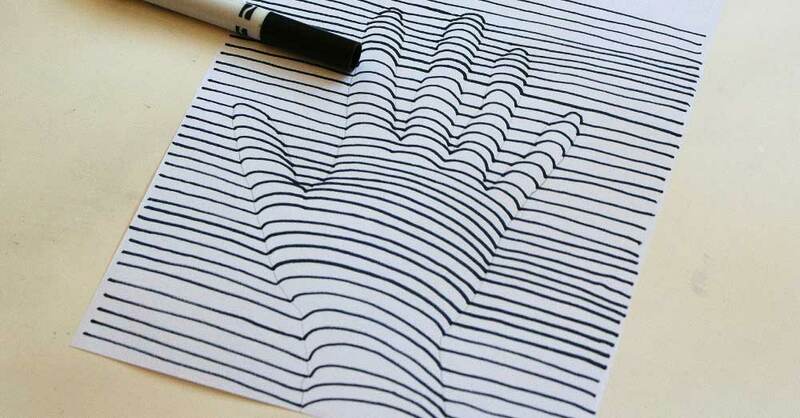 Think you can’t draw, especially a 3D image? Think again! 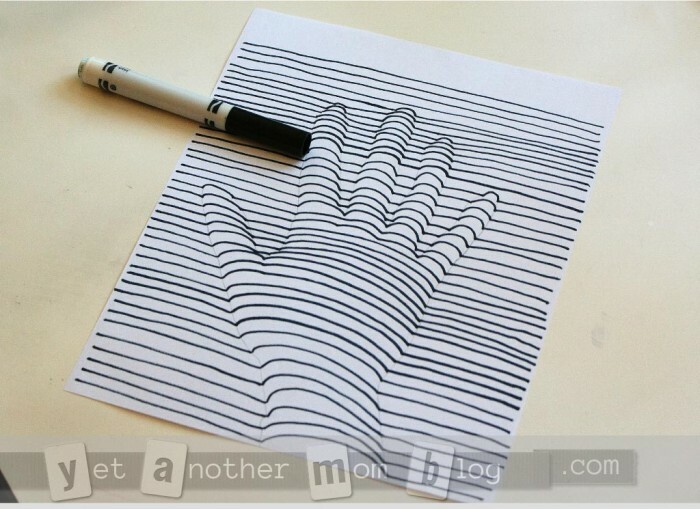 This is a super simple drawing technique to get a really cool 3D effect! And, in case you really don’t think you can do it, I’ve included one I created to use as a coloring page. Have you ever seen that cool sidewalk art that looks like you are going to fall into a hole, or drawings on a page that look like something is bursting through the paper? 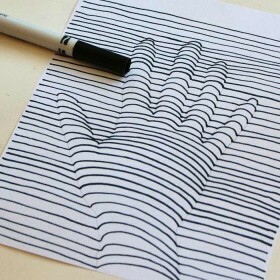 Don’t you wish you could draw those 3D effects? Yeah, I wish I could too. I can’t teach you that. But, those drawings are based on the same principals as what I’m going to show you today. I originally saw this technique on Pinterest and just had to try it IMMEDIATELY. Em and I grabbed some paper and our crayon box and went to work. This was over a year ago, so I don’t know what happened to our original creations, but we decided to do it again this week. 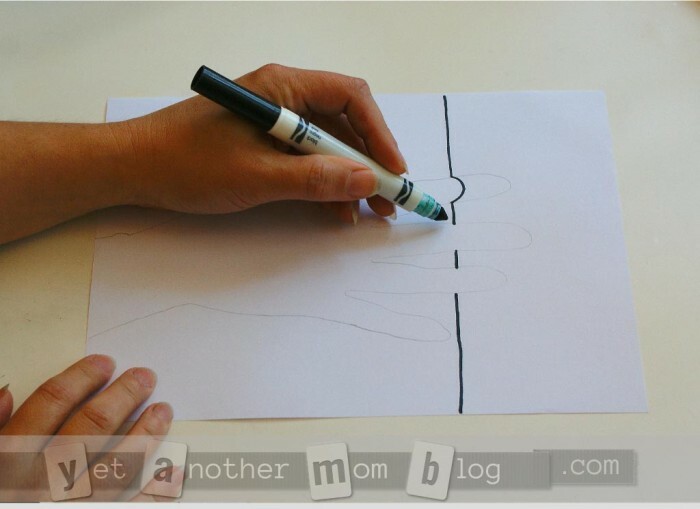 First, lay your hand on the paper, fingers spread out, and trace your hand lightly with pencil. 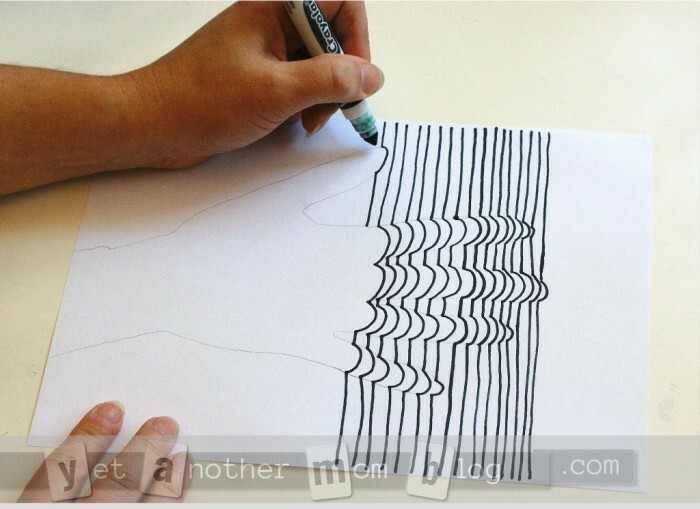 Then you need to start drawing horizontal lines. 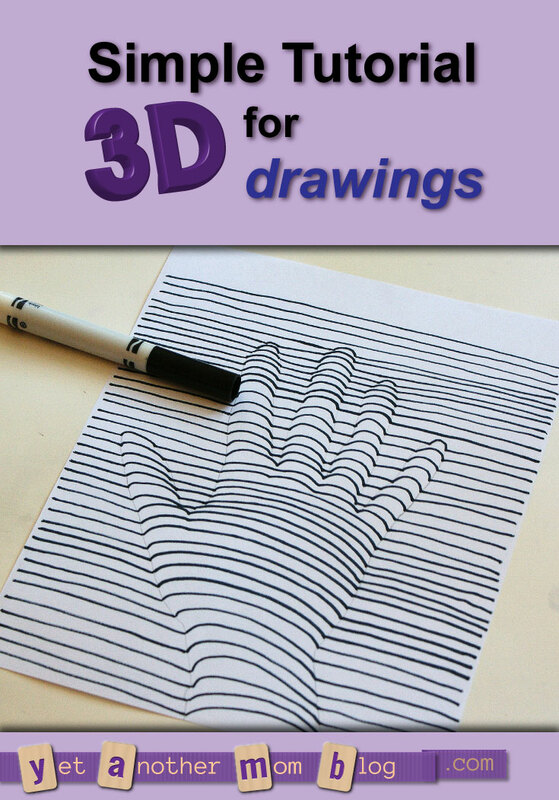 To achieve the 3D effect, you’ll want to “bump” the horizontal lines where your hand was. It really doesn’t matter where you start, but I usually begin in the middle somewhere and then fill in above and below. You probably want to start somewhere that intersects the traced object to get the curved parts going. Continue with this pattern over the entire page. 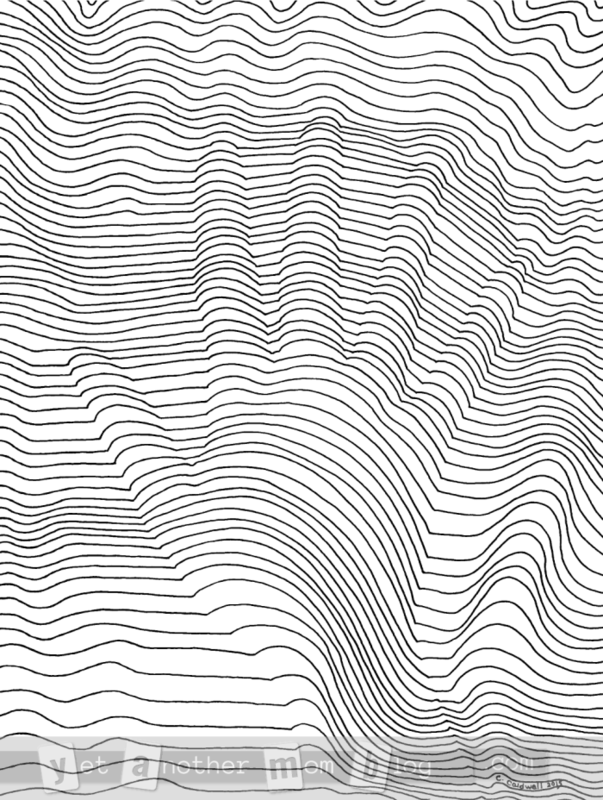 You can stick with completely straight lines other than over your shape as I did here, or you can get fancy and add waves outside your shape too, like I did in the coloring page version at the end of this post. 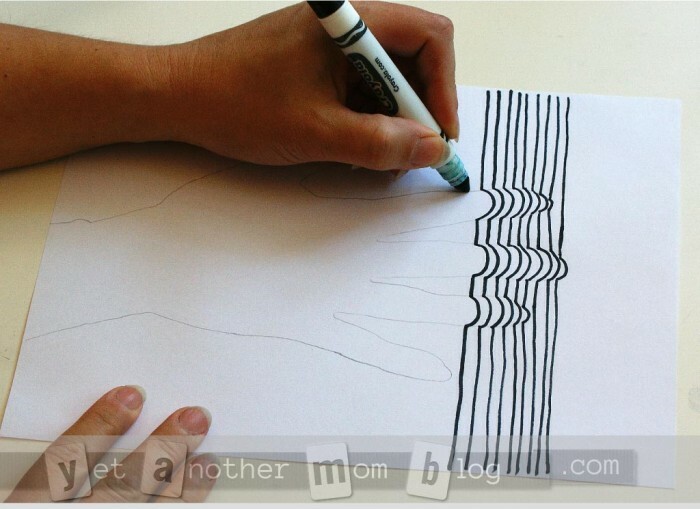 Try turning the page upside down… instead of the hand looking raised, it looks sunken! What a neat effect! 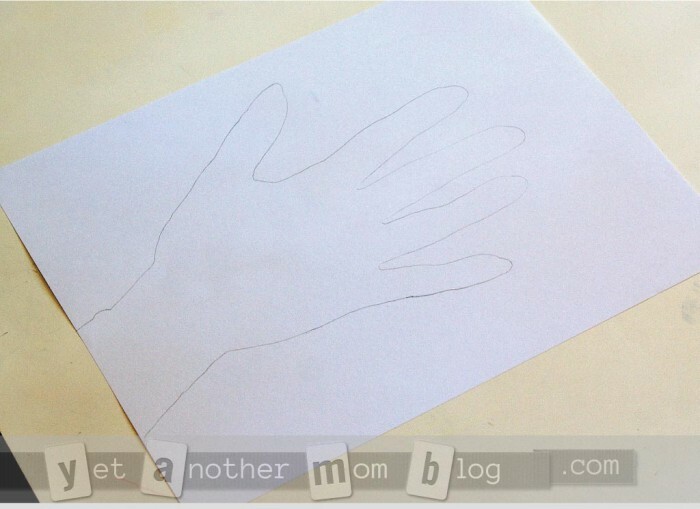 Instead of tracing your hand, you could trace your feet, or use a stencil of some design, or free-hand draw your own. 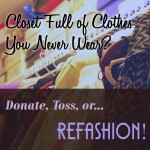 Try doing this with a heart. 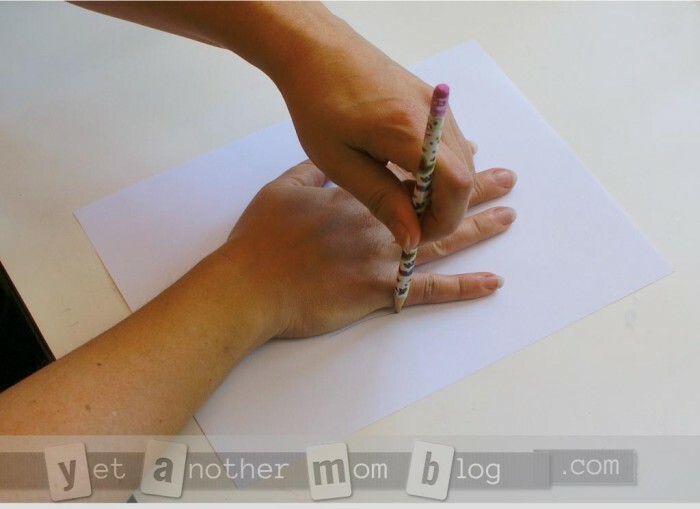 Or, draw some block letters, like your initials or your name. You’ll want to keep it fairly simple. As promised, for those of you out there that don’t think you can do this (oh, come on, you can, really), I have one for you that I created and cleaned up for coloring. As always, you are free to download for personal use only. 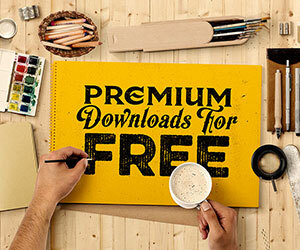 No uploading the PDF or another format for download from your website! If you display a colored or non-colored version on your website (or social media account), please include the entire image, including the copyright and path to the original file, and include credit to me and this web site URL in the picture description and the blog text. And no selling, colored or not! 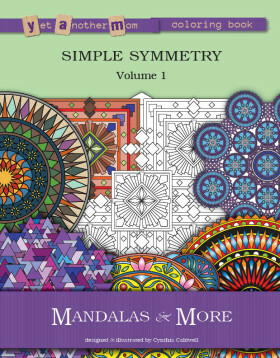 If you want any of my coloring pages for commercial use, please contact me. I actually think the 3D effect shows up more on the uncolored version, but it’s still cool. I’d love to see your creations too! 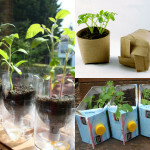 I love you ideas and creations. You are awse5!